In August, average home sale prices were up yet again county-wide, seeing a 6.3% increase in average sales price over July 2017 and 8.5% increase over the previous year. Average home sales prices stayed about the same in Bellingham, increased in Ferndale and took huge jumps in Lynden (almost $40K over July 2017) and Sudden Valley (almost $50K over July 2017). 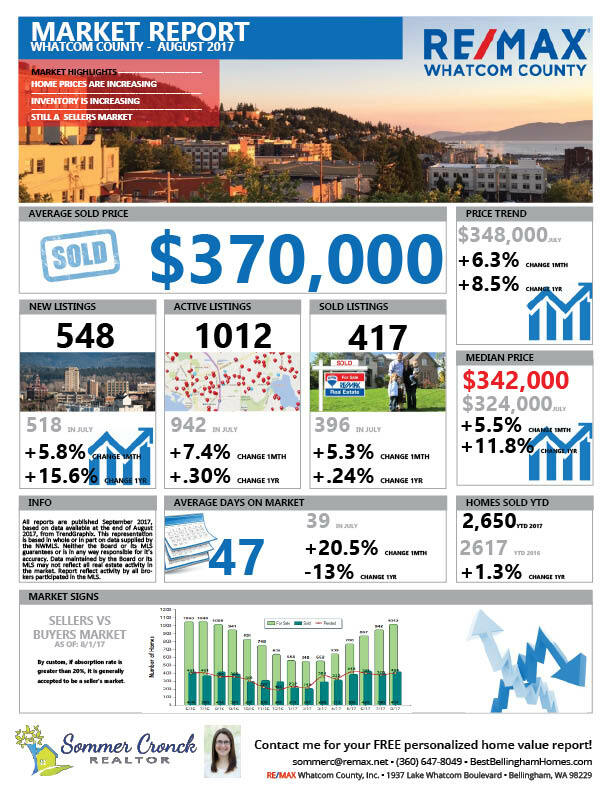 All average home sales prices are up from the same time last year, ranging from 6% (Bellingham) to 21% (Sudden Valley) increases. There was an increase in the number of new listings in all areas. The number of days on market has increased slightly meaning homes are selling at a slower pace than they were in July.